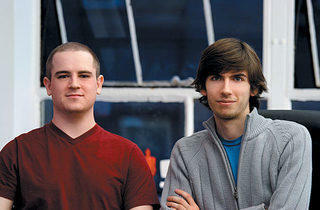 A popular site gets your college blog on a roll. 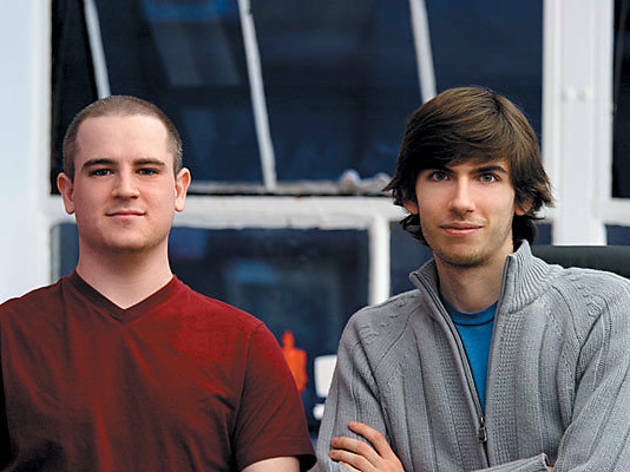 TWO LEGIT TO QUIT (BLOGGING) David Karp, right, and lead engineer Marco Arment offer up a place to store your scattered mind. Maintaining an online identity is almost par for the course. You can meet someone at a Heaven and Hell house party (or, for you senior citizens out there, a bar) and, knowing only a few details, easily discover a wealth of information about him or her through MySpace, Facebook, Flickr, del.icio.us and WordPress, among many others. Capitalizing on this trend and taking it one step further, Tumblr, a relatively new bloglike platform, seamlessly combines elements from all those sites into a new, simple—dare we say, more fun—form of Internet expression. We’re talkin’ expression that you can’t get from a basic blog, which, according to New Yorker David Karp, Tumblr’s 21-year-old founder, is “too much like old-timey print.” He asserts that, as with traditional, editorialized publishing, maintaining a blog can be daunting. “Right around the time we launched [a few months ago], Technorati, a tech news site, published a stat: While the number of new blogs was doubling year after year, the number of actively maintained blogs had actually fallen,” he says. “That made our objective clear”—to create a platform to which users wanted to keep contributing. So far, it seems to be working: Tumblr accounts receive more than 140,000 new posts each day. Tumblr’s version of the Digital You looks like a Flickr stream, a condensed Blogger roll and a collection of del.icio.us links all in one. As Tumblr’s website puts it: “If blogs are journals, tumblelogs are scrapbooks.” In other words, a tumblelog can contain, really, anything you want—it’s a vertical cascade of words, pictures, quotes, audio clips and video snippets. Of course, WordPress and Blogger also support a variety of content, but what sets Tumblr apart is the ease of uploading. The minimal dashboard contains buttons simply labeled TEXT and LINK, which immediately add content to your tumblelog. The site even takes care of technical things like sizing photos, formatting paragraphs and embedding videos. By streamlining the process—the site also supports uploading from your cell phone and via instant messenger—you’re hard-pressed not to find good content to share. Like MySpace or Facebook, Tumblr provides a sense of community: You’re able to “follow” tumblelogs you find interesting, meaning their posts appear on your dashboard screen in the order they show up online. Karp likens this to looking through the eyes of others, as opposed to stalking them like on Facebook or Twitter. Like what you see? “Reblog” friends’ content on your own site with a single click. And unlike WordPress, Tumblr doesn’t categorize users as music bloggers or humor bloggers—people are just people. Plus, Tumblr’s interface—unlike that of its social-networking predecessors—is clean, controlled and, best of all, ad-free. Come to think of it, Tumblr doesn’t seem to make any money at all. It gives away even advanced features: The grand site launch included support for custom HTML themes and the ability to use your own domain name—all things you have to shell out additional money for on other sites. Karp says his group, which consists of himself and three others, plans to roll out yet-to-be-identified “innovative ways to publish content” for paying power-users. Maybe they should just read Karp’s Tumblr page. Get your own Tumblr site going at tumblr.com.